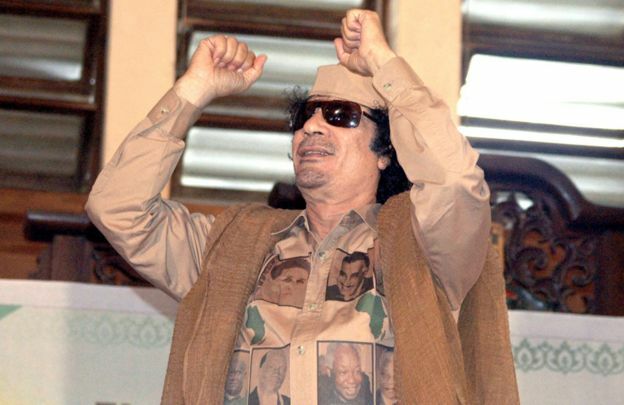 When Muammar Gaddafi was toppled in 2011, there were scenes of jubilation in Libya. But Jake Wallis Simons didn’t have to go far in Ghana to find those who have fond memories of the executed Libyan leader, and are still mourning his loss. One recent Sunday afternoon, amid the yellow dust, sunshine and traffic fumes of Accra, I met a man who told me that Colonel Gaddafi was the messiah. The man’s name was Karim Mohamed, an ebullient 45-year-old tailor who had spent three years living and working in Libya before the fall of Gaddafi. He was married with three children, and lived in a six-bedroom house that he had built himself using the money he had earned in Libya. 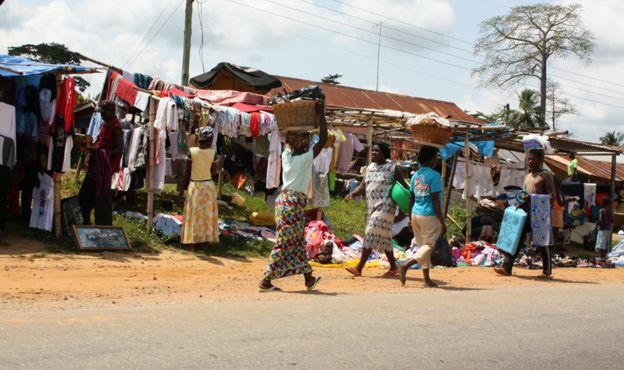 Karim was far from unusual in this part of Ghana. As we talked, two other men sauntered over to join the conversation, and turned out to share his passion for the late Libyan dictator. Gaddafi may have been a ruthless autocrat, but for years the relative affluence and stability of his rule was a godsend to migrants desperate for work. My new friends were among the tens of thousands of Africans who had used money earned in Libya to break themselves from the cycle of poverty at home. As we talked in the shade of a small grocery shop, the evidence was all around us. This was a district in the north of the city known locally as the Libyan Quarter, home to a community of Ghanaians who had made their money under the Gaddafi regime. The ramshackle houses that characterise many parts of Accra were nowhere to be seen here. Instead there were modern, spacious residences lining the orange dirt road, stretching into the distance. Karim pointed out what I had thought was a municipal building on the corner. As it turned out, it was actually a mansion belonging to a man called Sheikh Swala, who had started several successful businesses using money he had earned in Libya. The house had 30 bedrooms. And without Gaddafi, it would never have been built. Indeed, new construction was now a rarity in this neighbourhood. Here and there, some houses were even lying unfinished – when Gaddafi was deposed, the Libyan Quarter became frozen in time. A diffident, 36-year-old man called Amadu joined our group. Nobody noticed him at first, as he seemed so withdrawn. But eventually, he told his story. 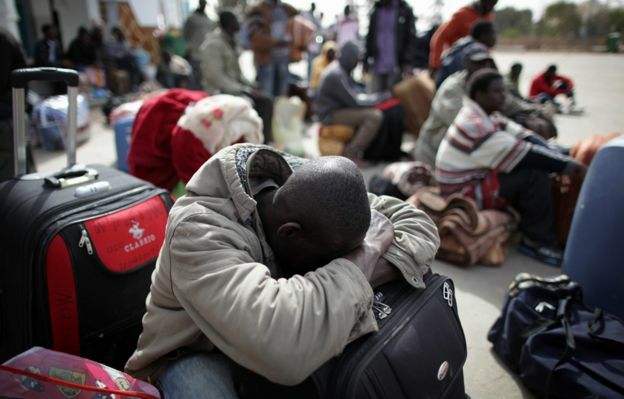 Amadu had been among those unable to afford a proper Libyan visa. In 2010, he and several friends made the dangerous journey there overland, through the Sahara desert. They ran out of water and many of his group died, but he made it to Libya and found work as a tiler. By the time war broke out in 2011, he had saved $3,500 (£2,300). He remembers standing on the docks in Tripoli when the first shots were fired, forcing him to run for cover. He was confined to his room for several days before he managed to escape back to Ghana, but he was unable to bring his hard-earned money with him. And that was how his dreams had died. Before Gaddafi was ousted, he officially warned the European Union that if his regime were to collapse, as many as two million migrants would arrive on Europe’s shores, creating chaos. He may have been more a dictator than a messiah. But he seems to have been right about that.